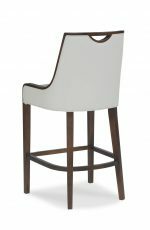 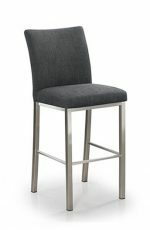 Common features of this Parsons style are stools that are linear where the legs go straight down from the corners of the seat. 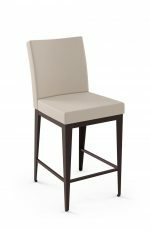 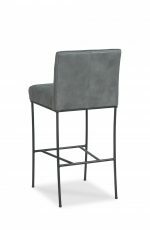 The seat and the back are fully upholstered and the stool is typically a non-swivel stool, although we do carry a few swivel parsons counter stools. 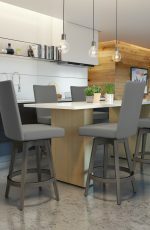 This type of stool is perfect for modern kitchens and conveys an orderly feel. 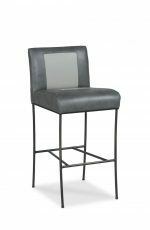 This style offer a contemporary look, and the Biscaro stool by Trica is a stylish favorite. 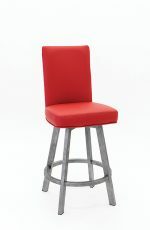 You can customize this stool to spice up any kitchen. 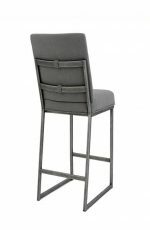 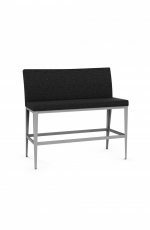 For example, choose a pewter finish for the legs and the funky Kimchee fabric with black and gray dots. 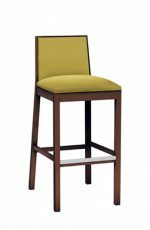 These also look great in bright, solid colors — lime green, light burnt orange, mustard, and light gray. 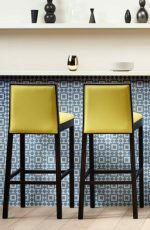 Patterns with subdued designs also give a contemporary look — swirls, dots and geometric designs, for starters. 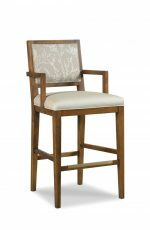 Wood-framed parson furniture can be contemporary or traditional. 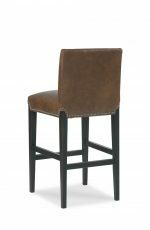 The same tips mentioned above can be used with wooden legs to create a contemporary or modern look. 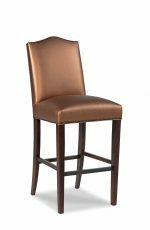 For a traditional look, choose cherry or walnut legs with a solid color vinyl in deep, rich tones. 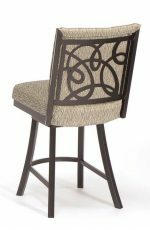 As an alternative, you can use a tiny pattern like paisley print, pin dots, or fine multicolored stripes and checks. 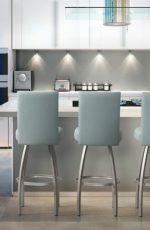 Avoid bright, funky colors if you’re creating a traditional interior. 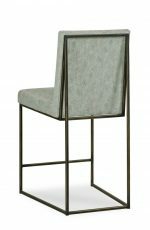 Why don’t Parsons stools have arms? 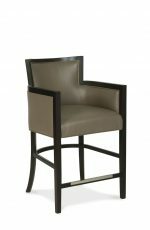 Due to its simplicity, the parsons chair usually doesn’t have arms in order to maintain the clean lines of the style. 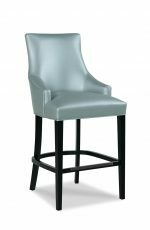 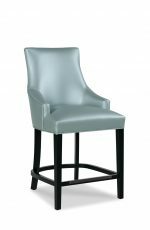 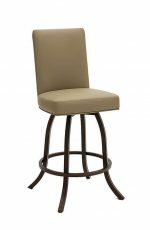 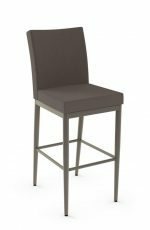 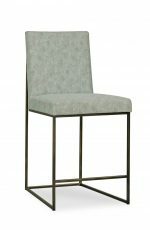 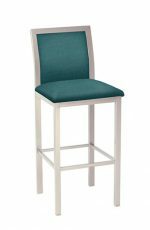 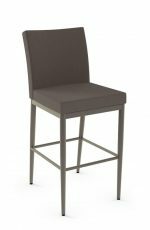 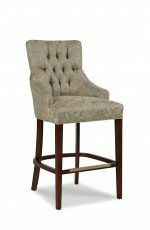 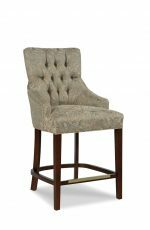 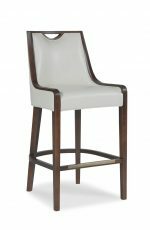 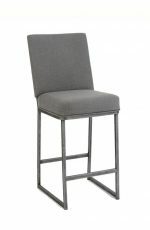 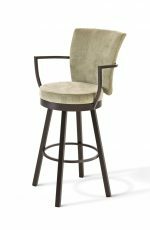 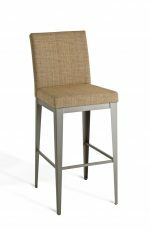 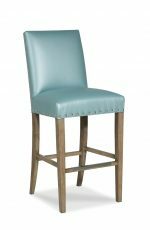 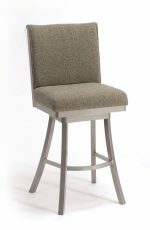 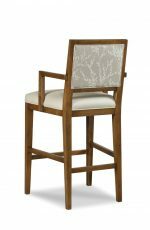 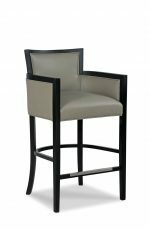 At Barstool Comforts, we offer you several styles of parsons counter stools and also offer you the ability to customize them to match the colors in your kitchen or other space. 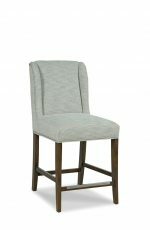 We offer these in your choice of soft fabric or easy-to-clean vinyl. 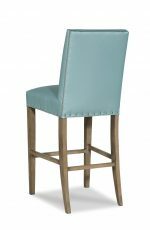 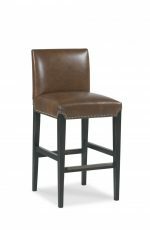 Some stools are also available in a heavy-duty leather. 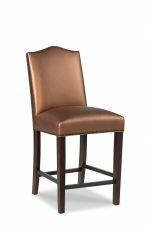 Choose from a variety of colors including browns, blacks, reds, blues, and even pinks! 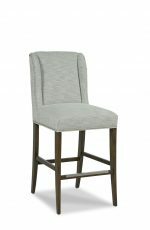 Or go with a stripe or geometric pattern. 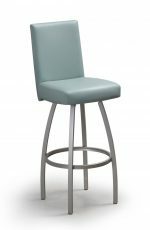 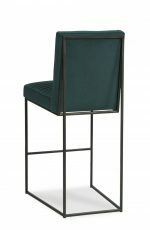 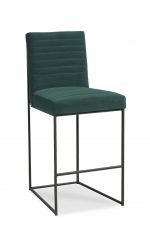 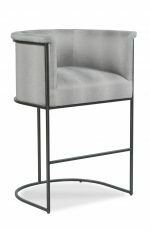 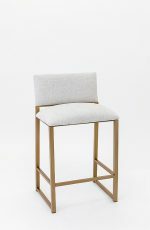 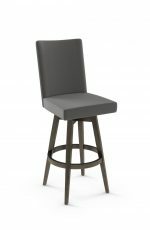 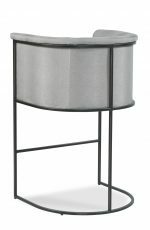 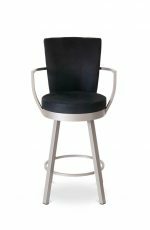 In modern kitchens, traditional kitchens and even trendy nightclubs, the parsons stool gives you comfort and appeal with a rich ambiance.